Arriving on the music scene almost three years ago, experimental duo Rosa Walton and Jenny Hollingworth, AKA Let’s Eat Grandma, have undergone an enchanting transformation right before our eyes. While their 2016 debut I, Gemini played up to the secret sorcery of teen witchcraft, their immense 2018 follow up I’m All Ears catapulted their sound into a new pop universe that felt altogether more real. 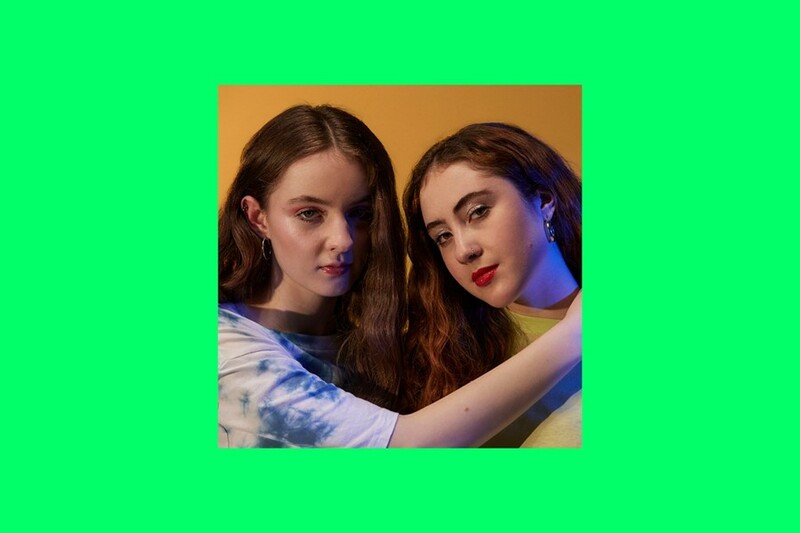 To coincide with the collaboration, Dazed asked Let’s Eat Grandma to curate a playlist of some of the most influential music from their lives. Mixing 90s classics like “Return of the Mack” with 00s bangers including Madonna’s “Hung Up”, and more recent dance anthems, the playlist is a selection of pop and R&B gems that neatly harmonise with the first glimmers of spring sun. Flitting between karaoke go-to’s and club bops like “1,2,3 dayz up” – Hollingworth tells us she’s “really into Kim Petras at the moment” – the playlist, led by women artists, offers an insight into Let’s Eat Grandma’s influences. You can hear the duo’s dizzying vocals and catchy hooks in The Veronicas’ “Untouched”, while their softer mysticism is mirrored in dreamy tracks like “Cherry” by Chromatics. The playlist also comes ahead of Let’s Eat Grandma’s performance at Bershka’s London store on April 25, which is the first event as part of On Stage // Off Stage, a series of live events at stores across six cities, curated by Dazed and Bershka. The tour will also head to Barcelona with Nathy Peluso, and then onto Frankfurt, Milan, Paris, and Brussels. Listen to Let’s Eat Grandma’s playlist below, and keep your eyes peeled for coverage from the duo’s Bershka performance.